Avid traveler (and yet again) “Pilgrim Mikey” returns to walk another Camino de Santiago or Way of Saint James in 2018! Having walked the 700km “French Way” (Camino Frances) with his father in Spring 2016 and the 825km “Northern Way” (Camino del Norte) in Summer 2017 (solo), Mikey is now attempting the 1150km “Via de Plata+” from Cadiz on the Southern Atlantic coast to Santiago de Compostela in the North of Spain. 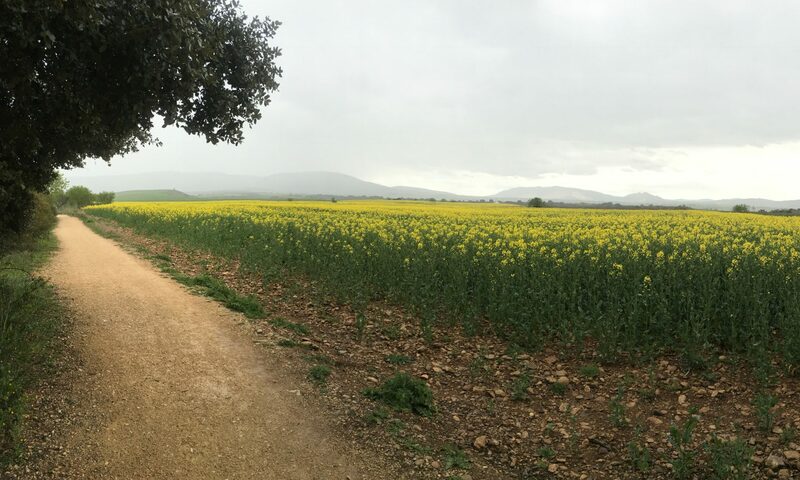 We use the “+” to denote that this particular camino normally begins in Seville, but Mikey is taking on an additional 150km in order to begin in Cadiz, Spain. Cadiz is Western Europe’s oldest inhabited city and, from there, Mikey will head north to his final destination – Santiago de Compostela in Galicia. Although his previous pilgrimages followed the more popular east-west trajectory, he is excited about traveling north through parts of the Spanish desert he has never before seen. Thanks for your interest in Mikey’s 40 day pilgrimage and please share this site with family, friends, and anyone you know who is interested in making their own “Way.” CLICK HERE to follow his current camino, but also check out his past ventures along the Way in 2016 and 2017.